Your company’s marketing department has decided that the way to increase sales is to throw a bunch of money at Facebook ads. They know you “do” Facebook so you are their newly elected “social media person”. It’s irrelevant, they say, that there hasn’t been time spent boosting the content on the Facebook account until now. That can happen after they get all the followers. Then they can throw all their best marketing content at them and they will flock to buy your product or donate to your cause. That’s how traditional marketing works, right? Are you just going to throw a ton of money at an ad targeting everyone and their silly step-sister and hope that some of the people fit your demographic? Why invite a couple thousand people when maybe only 100 people will come and most of those 100 may just sit on the sidelines nursing their drinks while 1 or 2 people will actually enjoy the party games you’ve set up. 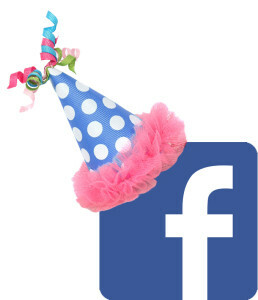 It’s not a successful Facebook party if you have only 1% engagement. Spend some time looking at the demographics of your current page, of your web site, of your off-line marketing materials. Create your ideal social user demographic. If your target is 25-40 year old women who love cats, don’t spend your time trying to convince 13-year-old boys who follow gamer sites that they want to spend time on your page, Look at the types of people spending time at your competitors “parties”. Put out some test posts on your page and see what resonates with your target demographic. Did you decorate the house? Spend some time making sure that your cover photo is relevant and gives the right impression to your guests. Don’t bait and switch your invitees. Don’t offer a fun party and then give them an invitation to a marketing seminar. Remember, this is “social” media, not marketing media. Keep it corporate or in-brand but make it inviting, like the open door to your home. If you don’t have a lot of great content on your page, start putting it out there now, before you issue the invite. Don’t throw it all on the table in a jumble. Make it organized and consistent. When people receive your “invitation”, they’re going to look at what sort of table you’ve set for them before they accept. They want to see consistent and relevant posts. They want to know that, if they accept and follow your page, they will be fed solid nourishing “food” that makes it worth their time. Do you have your party clothes on? Is your profile photo professional and inviting? A logo is fine and appropriate for a business “party”. Make sure that the logo easily fits within the 160×160 square that is allotted to it. You don’t want it bursting out of the sides like that party dress that fit you 20 years ago, that you swear still fits if you pull the zipper hard enough. Are you ready to have fun and be social? Make sure you have time for the party. You will have to put the work in to get people to interact at your party. It’s not enough to set up all the decorations and put the food out if you’re not planning on being around during the party. You will need to interact with your guests.Welcome them. Hand them a drink. Invite them to talk about themselves. And remember, this is a 24/7 party you’re inviting people to. If you aren’t prepared to be the gracious host around the clock, it might be worth getting a co-host on board to help you make people feel welcome and refill a drink or two. If you need any help getting ready for your party, we can certainly help out. Give us a shout! We do love a good party. And even if we don’t help you plan, once your party is ready, if we fit your demographic, we’d love to be invited. We’re partial to kissy pit bulls, dark chocolate, and maybe the odd conversation on what works for you on social media.